Bureau of Education. He was a fellow in history at Johns Hopkins University from 1876 to 1878 associate from 1878 to 1883 and was appointed associate professor in 1883. Adams was born to Nathaniel Dickinson Adams and Harriet (Hastings) Adams in Shutesbury Massachusetts. He brought about the organization in 1884 of the American Historical Association for which he was secretary until 1900 when he resigned and was made first vice president. His principal writings are The Germanic Origin of the New England Towns; Saxon Tithing-Men in America; Norman Constables in America; Village Communities; Methods of Historical Study and Maryland's Influence upon Land Cessions to the United States. 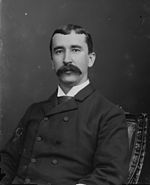 Adams died in 1901.